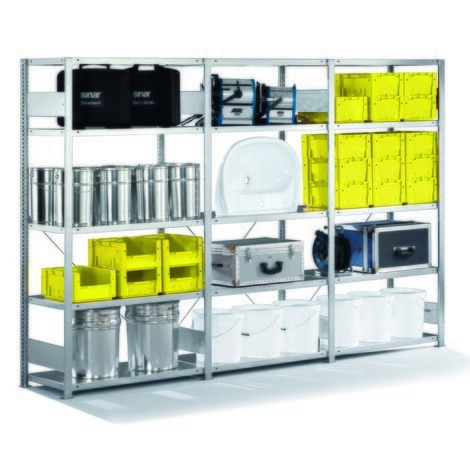 This complete package provides you with a META shelf rack comprising 3 units, which combine generous storage with outstanding quality and flexibility in a wide range of areas. 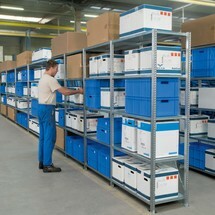 The storage systems are used, for example, in order picking warehouses, workshops or on sales floors. 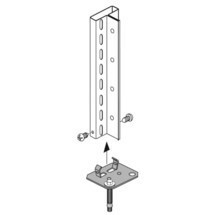 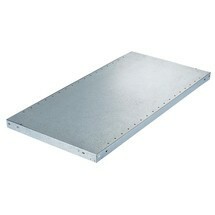 A hole pattern with mounting brackets allows you to adjust the spacing between the shelves in 25 mm steps. 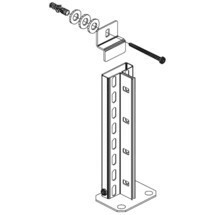 The frames are supplied pre-assembled. 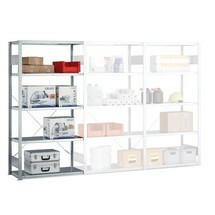 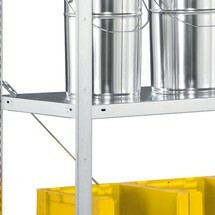 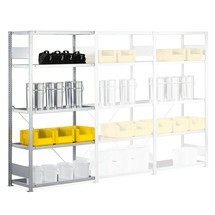 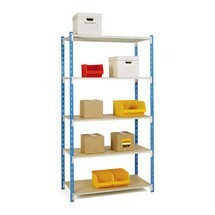 These single-row META shelves with diagonal bracing at the rear are intended for single-sided access. 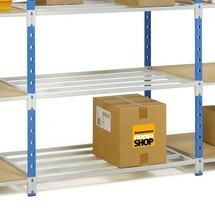 Both the steel shelves and the frame profiles are galvanised, thus ensuring reliable corrosion protection. 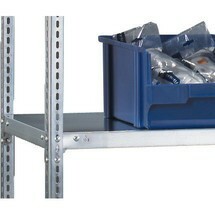 Note that your shelf racks must be secured against tipping as of a height/depth ratio of 5:1. 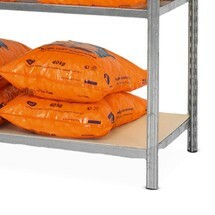 Opt for a high-quality product certified according to RAL-RG 614/1 and bearing the GS mark by ordering this complete shelving package from our shop.